The cayman did not blink. I looked down on it and wondered how much closer I could get before it would jump and bite off one of my legs. I seemed to be the only one with such concerns. A white bird landed next to the reptile and in the distance, a capybara sniffed the ground, also getting dangerously close to one of the many caymans. I smiled and raised my camera. Click. With its abundance of wildlife and its beautiful scenery, the Pantanal is one of my favourite places in South America. It is the world’s largest wetland, spreading out across Brazil, Bolivia and Paraguay. I only saw a tiny part of it, but everything I saw was stunning. Before researching South America, I had never heard of the Pantanal. I do not know why it doesn’t get more media coverage, but then again, it worked out to our advantage. We only met a handful of other tourists. 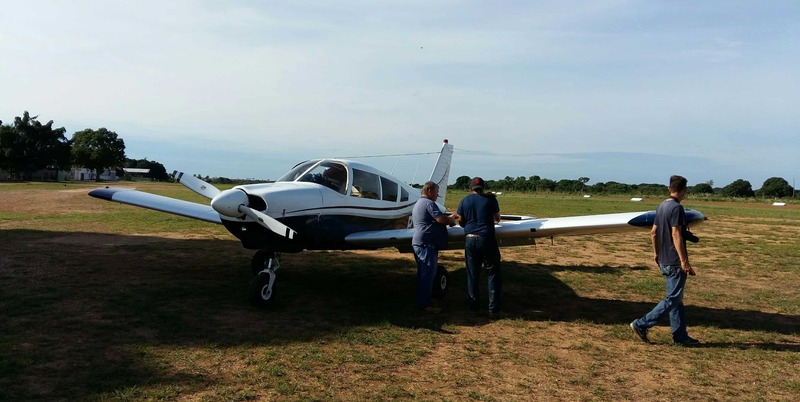 To promote the Pantanal and to help you decide on whether or not to come, I have put together a list that will hopefully help you understand why I fell in love with this place. I already mentioned the many different species you can see in the Pantanal. 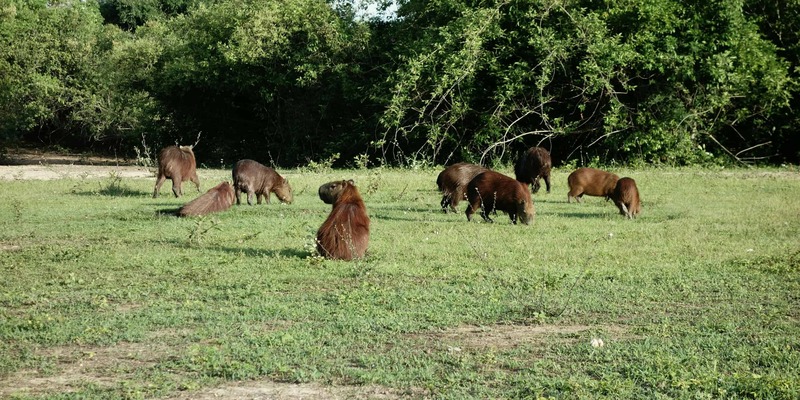 Within hours of arriving, we had spotted caymans, capybaras, coatis, toucans, tapirs… Since vegetation is not very dense and huge grasslands dominate the area, it is easy to see animals and observe them in their natural habitat. The Pantanal is not just about mammals and reptiles. It is also about all those beautiful, beautiful birds. From storks to macaws, even if you are not a bird-watcher, you are going to love those colourful creatures. Lying in a hammock, I watched parrots fly by. Hawks sat on branches next to the river, hunting fish right in front of us, and a male rhea, an ostrich-like bird, tried not to loose the overview as he herded along his thirteen children. One of our highlights included seeing a jaguarundi, a cat that is even more rare than the famous jaguar. If you’re interested in seeing felines, inquire about tours going to Porto Jofre. Here, chances are highest of spotting one. But even if the prices for jaguar tours are too steep for you, I guarantee that you will leave the area satisfied and with a new appreciation of Brazil’s wildlife. We went with Julinho from Pantanal Trackers. 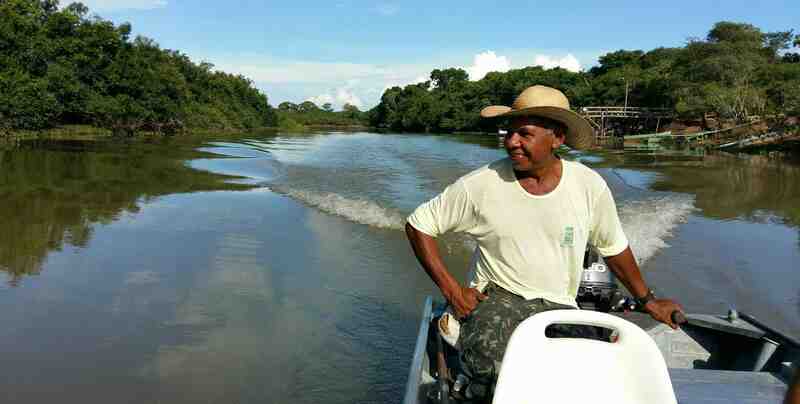 If you google Pantanal tours, his name comes up sooner or later, and I can highly recommend him. We had a great time! He was excellent at finding animals and spontaneous enough to continuously adapt and improve our itinerary, to make sure we got the most out of our time. I learned a lot about wildlife, the area and life in the Pantanal. While staying at the lodges, we also met a couple of other guides. Each of them was polite, knowledgeable and generally seemed to ensure that their costumers had a great time. So while I still recommend Julinho, if he is booked out and you go with someone else, I am sure it will be amazing. Some of them even speak foreign languages, if English is not your mother language. I did not just love the Pantanal for its animals but also for its incredible scenery. From grasslands to rivers, lakes and little forests, we saw a huge variation of landscapes. In some areas, the grass was so green it almost looked unreal. In others, we took two steps into the forest and instantly, the vegetation got so dense that I could have gotten lost. One evening, we sat down on a bench by a lake and looked out over the lily pads, waiting for the sun to go down and for the animals to come out. I took at least as many pictures of the landscape as of the various animals we saw. The Pantanal is a beautiful place! Most animals are not active at midday. When the sun is out and the heat makes you break out in a sweat with every movement, animals retire to the shade. Your best chances of seeing wildlife are in the early morning and the late afternoon. In between those two time frames, we relaxed at the lodge. We stayed at three different lodges and every single one of them offered great spots to unwind and spend a few hours doing nothing. Two had pools, every single one had hammocks and in one of them, I could watch rheas from my room. We plucked mangos fresh from the tree and watched green parakeets argue. Lodges in the Pantanal vary from rustic to luxurious, but no matter which ones you stay at, with so many animals nearby, you will find a good spot to relax. And the next morning, we were soaring in a plane above that lake. It was amazing! While most tourists will never spontaneously go in a plane, you never know what’s going to happen. The Pantanal is great for surprises, from animals that suddenly show up to activities that will challenge you or give you the chance to explore something new. Always wanted to go horse-riding? This is your chance. Prefer piranha-fishing? This can also be done inside the Pantanal. To sum it up, the Pantanal is one of those must-see areas that should be on everyone’s itinerary. You will not regret coming here.